A wedding is a very special occasion and everybody wants to look their best. Your wedding dress must, of course, look perfect in every way. Every detail matters. A wedding dress can be as unique as you are. Your dress needs to work with your individual body type – Enter Goldstitch! How can Goldstitch alter your Wedding Dress? Any Wedding dress can be skillfully let out, taken in, shortened, lengthened or altered in any other way you desire. This can be achieved with no puckering, bunching or bulging to the fabric. We offer everything from shortening hems to reshaping necklines. Our Wedding Dress alteration service is a comprehensive service that is carried out by our professional and experienced team. Providing a service that exceeds our customers expectations. Why use Goldstitch for your Wedding Dress alteration? 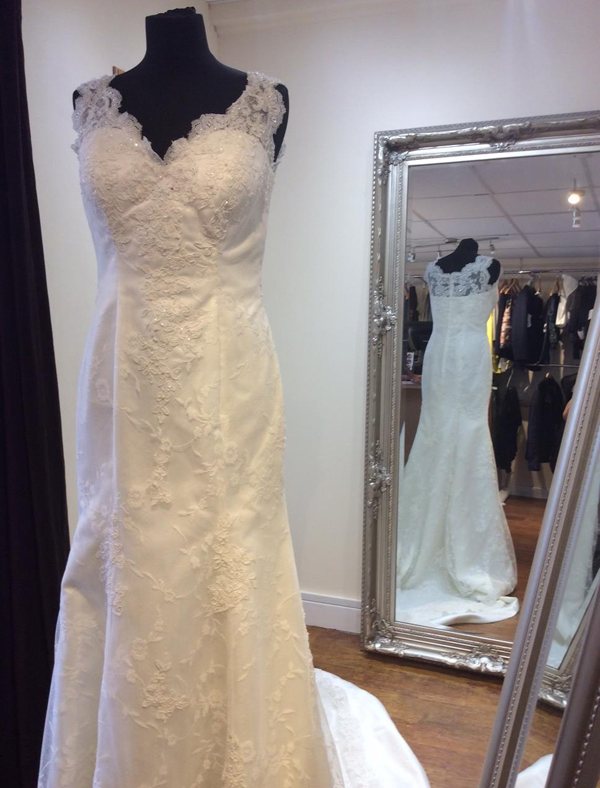 We have the experience to offer an unrivalled Wedding Dress Alteration service in Worcester. 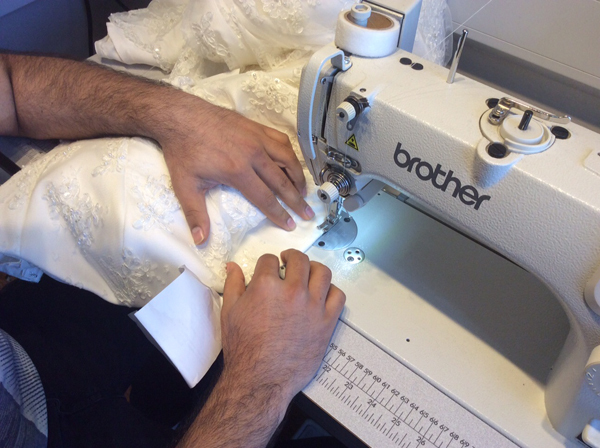 Morteza started work as a dress maker and so understands the anatomy of a Wedding dress. Your dress is in safe hands. It can be the small details that make a dress memorable. For a truly spectacular Wedding dress, you may want to add embellishments. We work with a large range of fabrics, including; Lace, Satin, Silk, Taffeta, Chiffon, Organza, Tulle, Veiling, interfacing and more. How can a wedding dress be personalised? 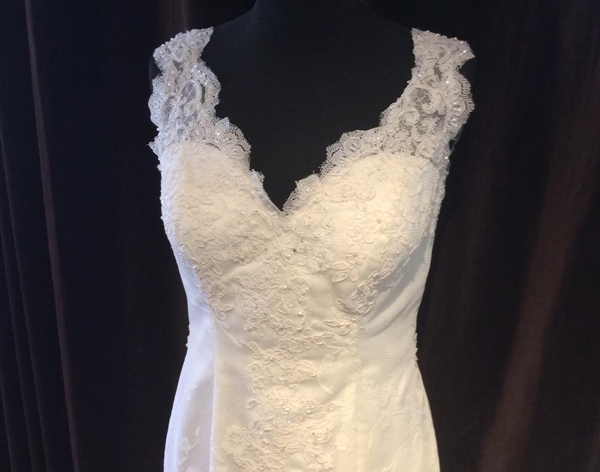 Adding removing or altering sleeves on any wedding dress – long sleeves or short sleeves. A zip can be swapped out for a back that laces up or vice versa, if you would prefer. Can be added to give a different look by raising the train of your dress. What will happen at the first fitting? It really depends on you – the customer. Every fitting is different and individual. We aim to make things as stress-free, and enjoyable as possible. The underwear that you intend to wear on your wedding day is essential. You should also bring the shoes that you will be wearing, or shoes of the same height. These factors are important in how a dress fits. It is hard to quote a price without first seeing a garment! We pride ourselves on being the most reasonable priced tailors in Worcester. We would love to hear from you! Whether it is a quick enquiry or question, you can call us on 01905 729435 / 07837 5000669 or use the form on our contact page to send us a message. You are also welcome to contact us via email on [email protected] Please include as much information as you think is relevant. You can also attach photos of a dress (or dresses) if you think this would be helpful.